1. An in-depth soil analysis that will address the chemical aspects of the soil by S3C Analysis. 2. The Solvita 1-day CO2C test. 3. The Haney test with a Soil Health Calculation. 1. An basic soil analysis that will address the chemical aspects of the soil by S1AN Analysis. 3. The Haney test with a Soil Health Calcuation. First Form reports include soil data, graphics, and maintenance + build recommendation format. or a combination of different crops and yields. You must supply the crop and yield goal information. Many options may be made automatically standard for your account. Contact Client Services at the laboratory for details. If a field has never been sampled before, we recommend the complete test S3C. In low rainfall areas, we also recommend a subsoil nitrate test. For legume crops, we recommend a test including Boron analysis (tests S3, S3C, or S6). 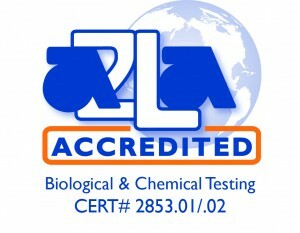 For soil where manure has been applied frequently or heavily, we recommend test S2N. to any of the above.